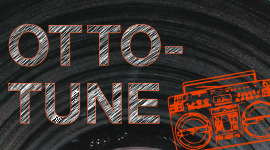 Otto-Tune is a music blog dedicated to exposing the best in local, national and international music to the Syracuse community. Win tickets to see Ganja White Night at Westcott Theater - The bass duo has partnered with The NewsHouse for the #NHxGanja concert photography contest. Louis the Child is coming to Syracuse - The electronic pop artists will visit The Westcott Theater on Nov. 10. 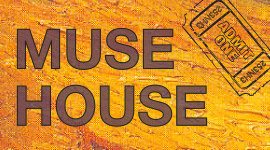 Muse House is produced by graduate students in the Goldring Arts Journalism program, with the aim of shining a brighter spotlight on the Syracuse and CNY arts and culture scene. “The Shape of Water” wins big in well-orchestrated Oscars Ceremony - The film won four awards, including best director for Guillermo del Toro. Solstice at the Cathedral brings the holiday spirit to Syracuse - The concert at St. Paul's in downtown Syracuse is celebrating its 10th anniversary. 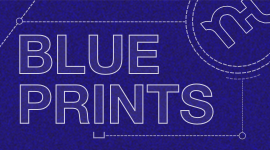 Blueprints is a behind-the-scenes look at TheNewsHouse.com and how we work. What did it take to pull off a feature? What influences our decisions about how a story be reported or presented? Blueprints is produced by the writers, editors, photographers, and storytellers of TheNewsHouse staff. Future contributors of The NewsHouse: Join us for our Open House! - Anyone interested in contributing to this site, gaining some relevant experience and meeting some like-minded people should join us Sept. 18, at 6:30 p.m. in the Collaborative Media Room (Room 253 of Newhouse 3). Chuck's new location: Gotcha Edition - Sorry to say it, Chuck's is still closing. SOBS or So BS? - How Syracuse's popular black squirrels inspired us to create a fictitious student organization. Oh, yeah. And April Fool's played a part, too. Gap goes back to the 90s - Classic American clothing brand Gap is throwing it back with their new revamp of 90s styles. ‘Black Mirror’ project reflects on lack of racial diversity in fashion media - A black model has recreated popular ad campaigns of some of the top models in the country. Is Khloe Kardashian the new fashion powerhouse? - With Khloe Kardashian’s new Kylie Cosmetic collaboration and the recent success of her denim line, the Kardashians seem to keep growing their influence in the world of fashion and beauty. Women's basketball wins finale vs. Boston College, earns 8 seed for ACC tournament - Senior Day saw Syracuse recognize three seniors before the game. 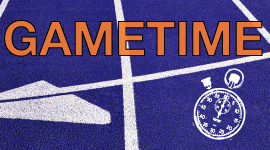 Men's lacrosse loses badly to Albany in ranked matchup - This was the lowest scored goals by SU since 2002. Passports is your ultimate travel fix. 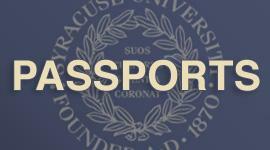 Read about students' adventures in, around and far away from Syracuse. Get advice on where to go and what to do, or just hear a good story. Commentary: Students in Italy react to Trump's victory - A Syracuse student studying abroad captured responses from Italians following the initial shock of Donald Trump's presidential victory. SOULscape teaches students about connection, reflection - For its third weekend retreat, Soulful Sit-Downs brought students to the Adirondacks for a weekend of relaxation and pondering life's big questions. Played in Paris - Blogger Lianna Hursh takes a trip to Paris, visits the Eiffel Tower and learns what not to do in a French restaurant. Serving daily drops of fresh campus news. 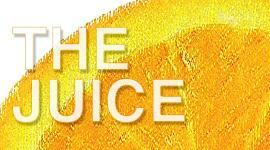 This Juice is produced by The NewsHouse staffers. Comedian Chelsea Handler to discuss gender, equality issues at SU - A New York Times reporter will interview the activist celebrity and activist at Goldstein Auditorium on April 5. Comedians Jenny Slate and Aparna Nancherla to perform at SU - Jenny Slate and Aparna Nancherla will be performing Feb. 9. 5 tips to prevent stress during finals - Commentary: Follow these tips to maintain your sanity and your grades. 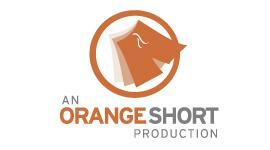 Orange Shorts will feature interesting and compelling video shorts that are purely fictitious and opinions, not necessarily actual hard facts, traditional news-gathering or sometimes even reality. "The 2nd Word," your first stop for entertainment and pop culture - In the talk show's first episode, hosts Max Ward and Kaiti Faith discuss recent news and the Oscars. Will you be my Valentine? - The NewsHouse team combed campus to see if Tyler and Katy could make loveable first impressions. The meme that wouldn't shut up - Commentary: The NewsHouse takes its place in the glorious marketplace of bad ideas. 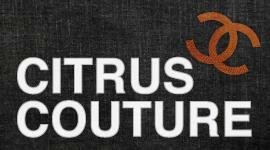 Syracuse University's unofficial guide to cooking, wining and dining both on and off The Hill. Quick and easy meals made from your dorm room - These z'oats, eggs and bacon, avocado and chicken salad, and mug recipes can help you avoid the dining hall when you get sick of it. 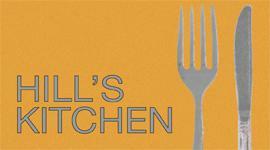 Rochester Gilmore Girls popup provides fans with warm atmosphere - Hill's Kitchen blogger Beth Lindly ventured to Rochester to experience the popup of Luke's Diner. The Red Kitchen Recipes: All about Apples - In this entry, the Red Kitchen goes apple crazy (along with the rest of New York). Check out our recipes for apple bread, apple chips and apple butter. 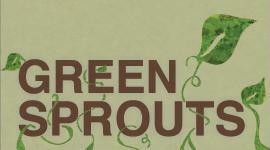 Green Sprouts is an environmental blog focused on Syracuse University and the surrounding community. The blog shares initiatives and events around campus that are working towards making SU more sustainable. SU ceases direct investment in fossil fuels - The announcement came after months of student groups calling for the university to divest. SU looks to gain ground in Reyclemania competition - SU has a short history with Recyclemania, but it is just the beginning in a step forward in improving on-campus recycling. More than 50 SU students will march in historic climate change rally - Busloads of local activists will participate in the largest climate change demonstration ever. 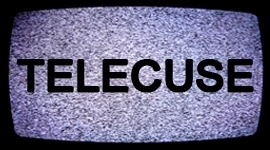 Telecuse explores the culture, programming, and impact of television with a mix of show reviews and discussions for the Syracuse community. Join the conversation about your favorite show, or let us know what you're watching. October's Netflix Line-Up - If you're looking for a new Netflix binge session, here are some new shows and movies for you to check out this month. Sundance Film Festival offers diverse, mix-reviewed films - Review: Sundance entries make audiences laugh, cry, cringe and everything in between.